Under the deal worked out with her property-management company, the woman will also pay $100 in utilities she owed. The company agreed not to report her eviction to any future potential landlords. 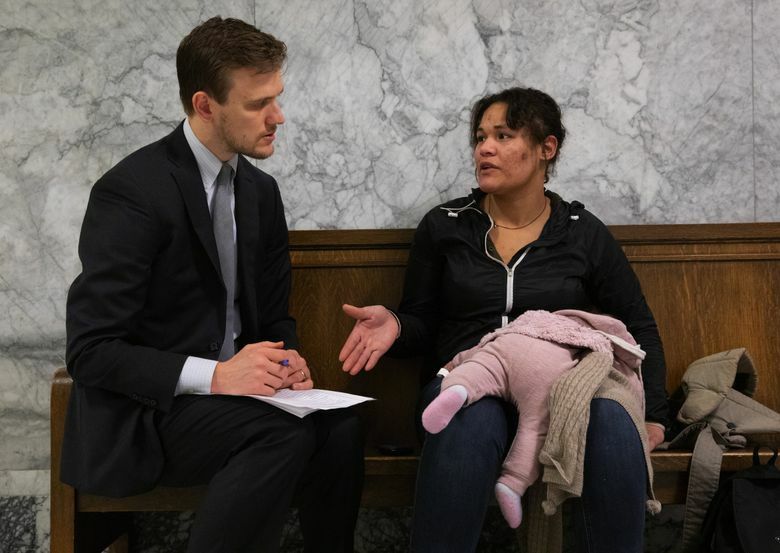 A Seattle mother of three facing eviction because she failed to pay $2 in outstanding rent will get to stay in her apartment until her lease runs out at the end of April. Keilani Luxmore will also pay $100 in utilities she owed for this month by Feb. 1, as part of a deal with Ballard Realty, the property-management company. Ballard Realty had issued a notice to Luxmore on Dec. 12, notifying her she had three days to pay $2 she owed in rent or else vacate the apartment she shares with her young children. Her monthly rent at the apartment is $1,395; her Section 8 voucher covers all but $2. Luxmore, 23, said she didn’t see the notice because it was posted on a neighbor’s door. The company began eviction proceedings Dec. 28, after she failed to pay the outstanding balance. The two parties were scheduled for a court hearing Thursday, one week after King County Superior Court Judge Julie Spector delayed the case in the hopes they could come to a compromise, which they did shortly before the hearing was to begin. As part of the deal, Luxmore agreed to move out of the apartment once her lease is up in the spring. Ballard Realty issued her an order of limited dissemination, which bars a tenant-screening company from reporting her eviction to any potential landlords. The property-management company also waived $265 in late fees Luxmore owed for missing the $2 payment. Tenants often struggle to get out from under late fees, which are often far higher than what was originally owed, said Luxmore’s attorney, Edmund Witter, with the King County Bar Association’s Housing Justice Project. In a statement, Ballard Realty said it strictly follows all fair housing rules and regulations. Several eviction-reform bills have been, or are expected to be, filed during this session of the Legislature. Last year, a joint study by the justice project and the Seattle Women’s Commission found that more than half of Seattle renters who receive eviction notices owed one month’s rent or less. In response to that report, the Seattle City Council is also considering introducing a resolution for eviction reform, which is scheduled for a discussion at a council committee meeting Friday morning. Luxmore plans to speak during public comment at that meeting, at the request of Washington Community Action Network.